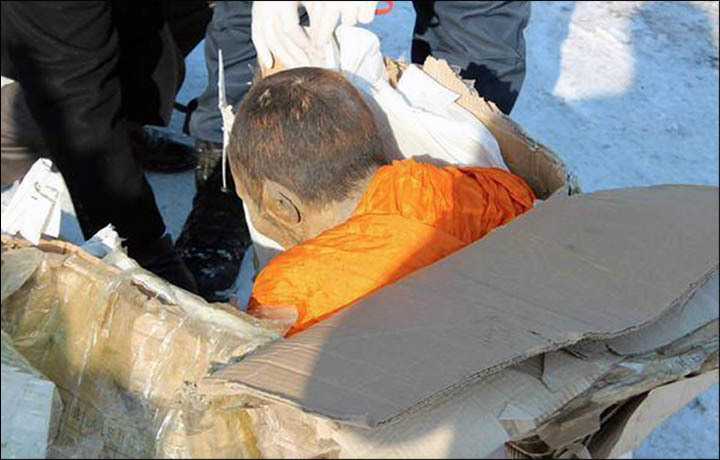 Local Mongolian newspapers have reported the finding of a naturally mummified monk in the Songino Khairkhan province. The puzzling rumor surrounding the discovery is that the body postured as a Lotus seems to be ‘undead’, to be particular – the monk is in ‘deep meditation’ according to Buddhist researchers. ‘The monk is in tukdam, which is one of the deepest stages of meditation. This is the highest state close to the state of Buddha.’ said Dr. Barry Kerzin, popular Buddhist monk and doctor to the Dalai Lama. This tukdam is a sign that the Lama is not dead but one step away from enlightenment. The identity of the monk is unknown but is thought to have lived in the early 19th century. There has been speculation that he could be the teacher of Dashi-Dorzho Itigilov (1852–1927), a Russian Lama whose body was found in a similar state with no macroscopic decay. He informed his students about his nearing death and asked them to exhume his body in 30 years. 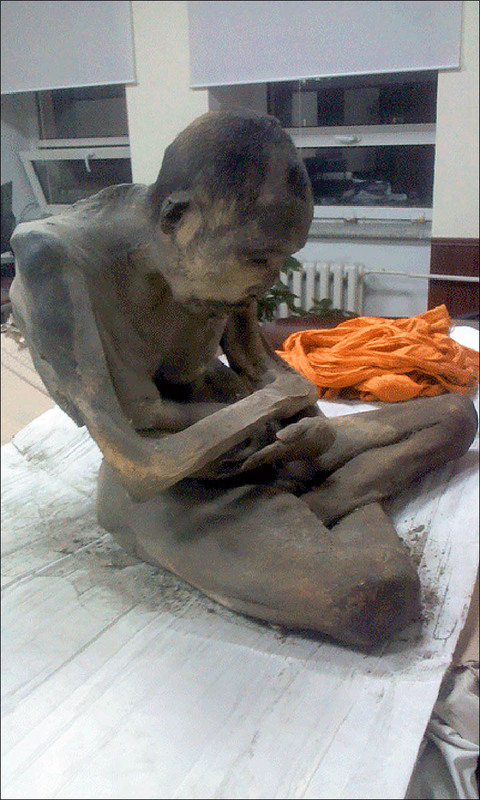 After his death in 1927, while meditating in a lotus spiritual state, his body was unearthed in 2002 (it was exhumed back in 1955 but was kept a secret under the Communist Russia regime) with no sign of decay. It is also worth noting that his body was packed in salt. The stolen two-century-old mummy has been sent to the National Centre of Forensic Expertise for further study. Previous article These 6 Living Creatures Are Almost Immortal! Kleine-Levin Syndrome Sufferers Can Sleep Up To 64 Days In A Row Only Wake Up In Sleep Walking State To Eat And Drink.